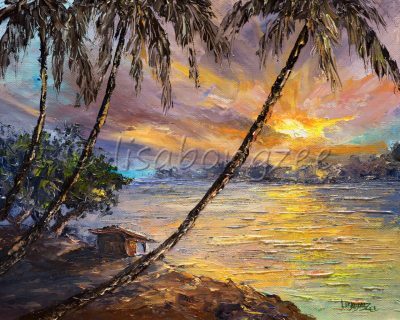 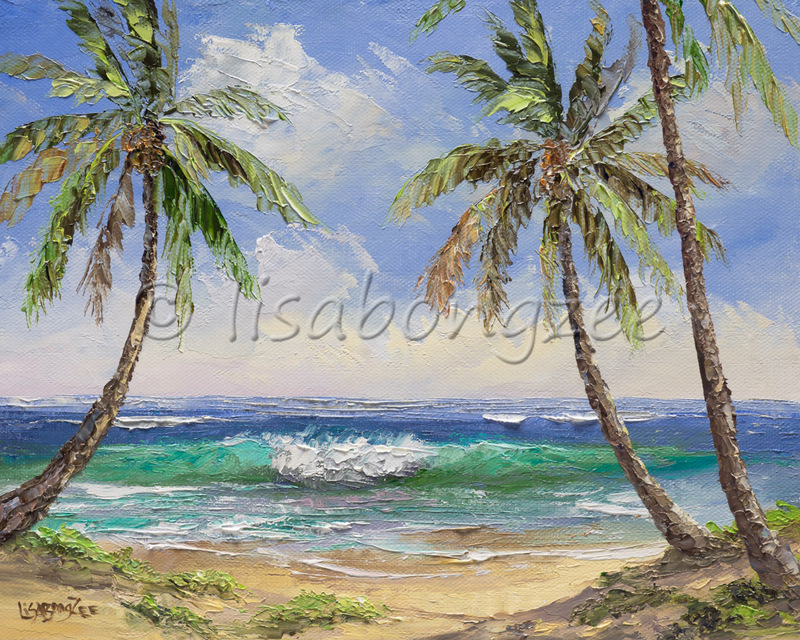 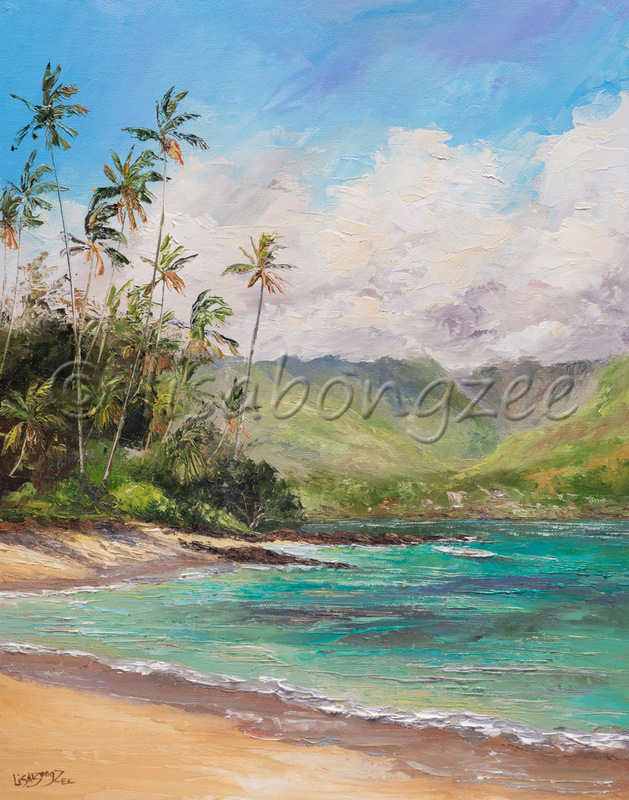 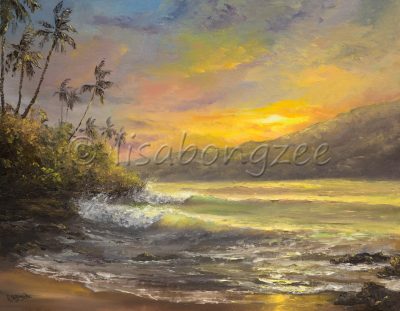 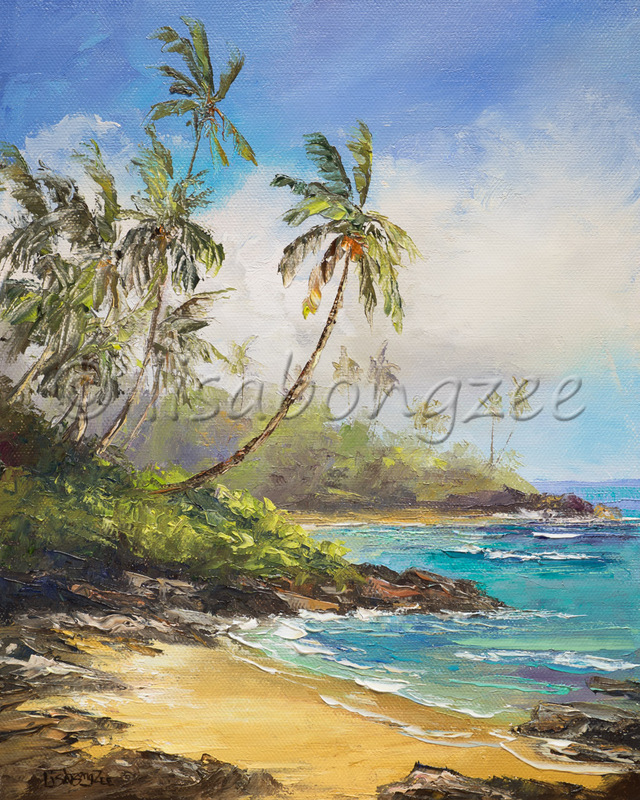 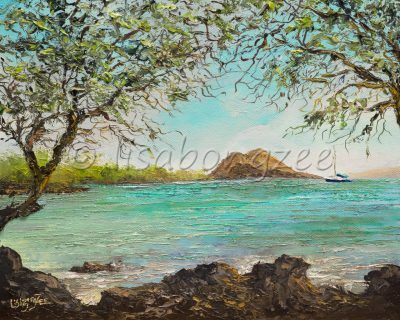 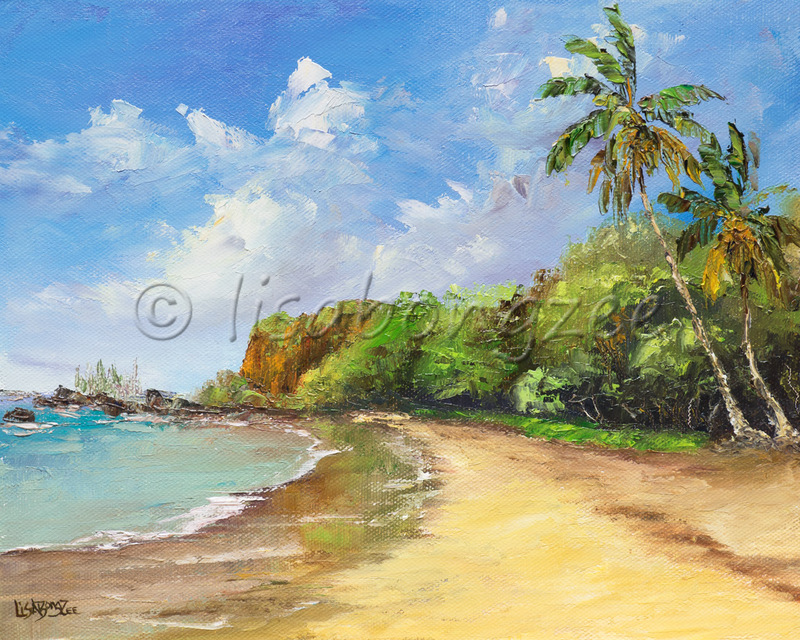 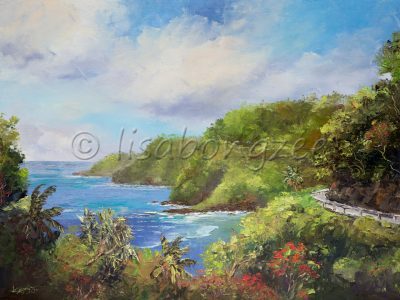 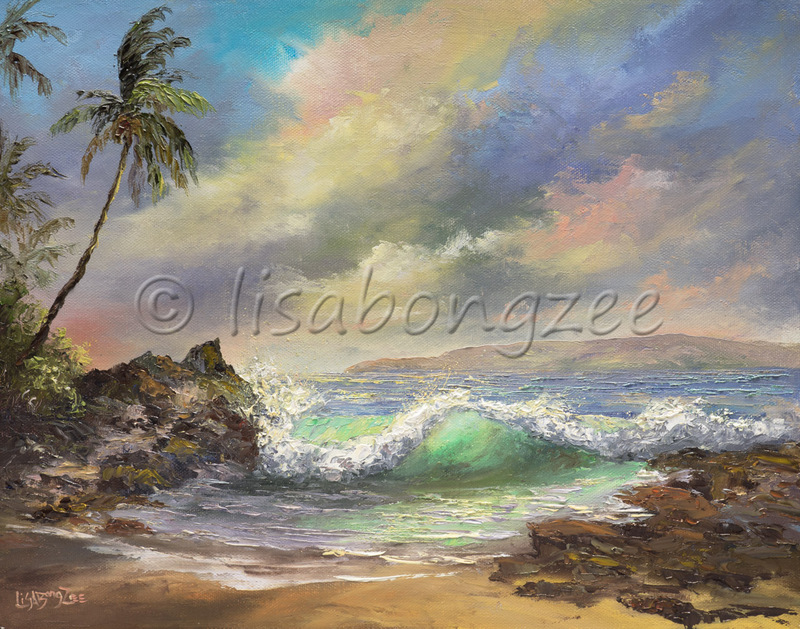 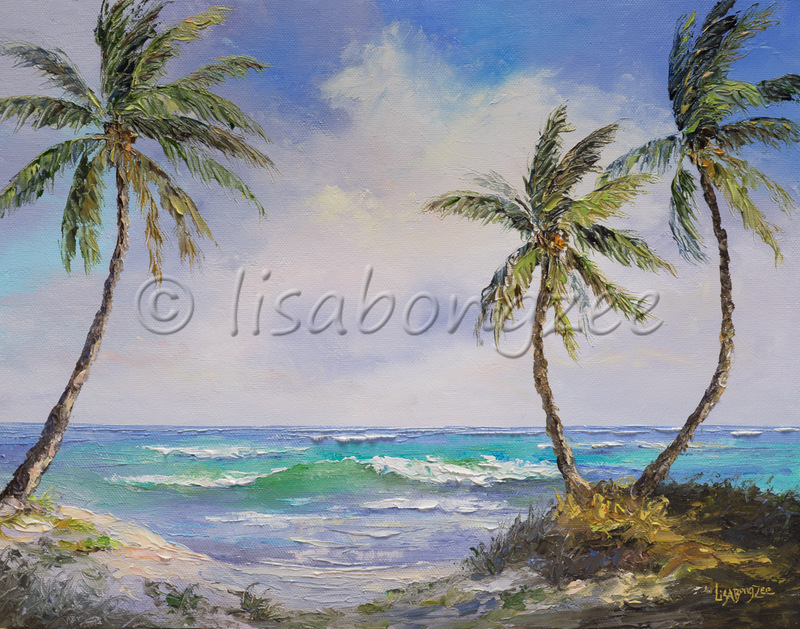 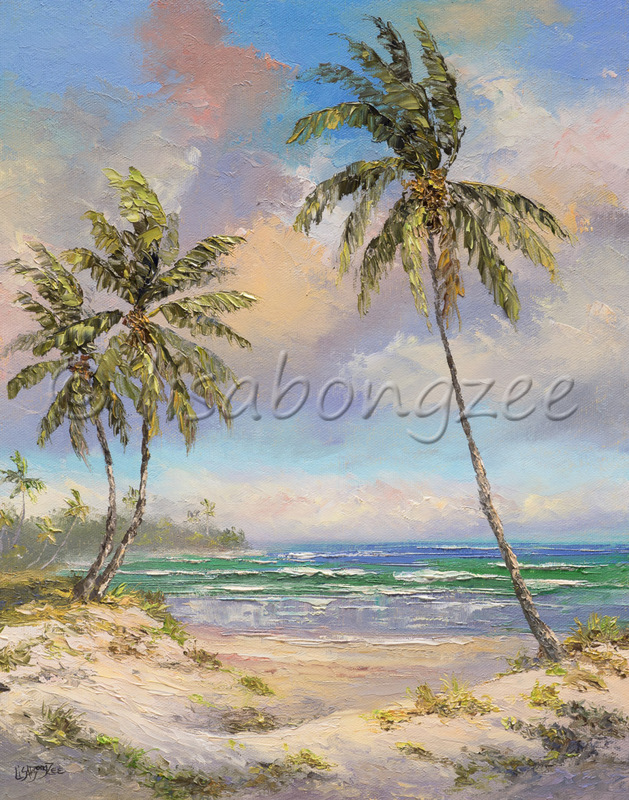 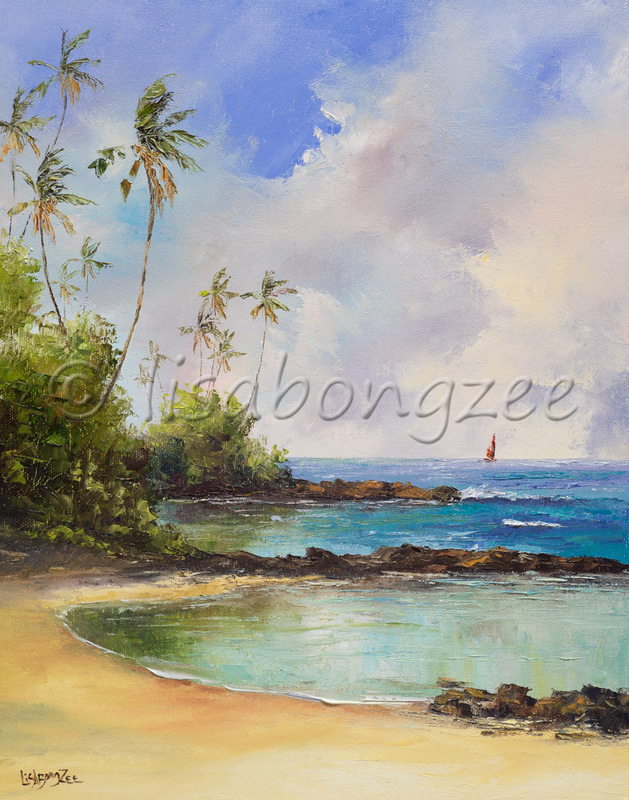 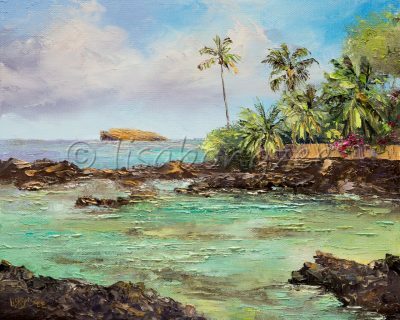 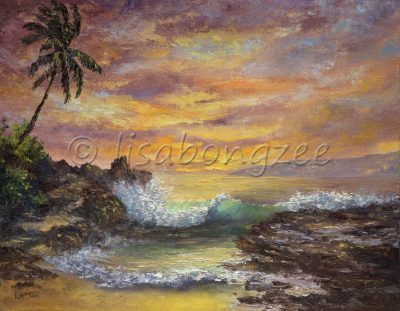 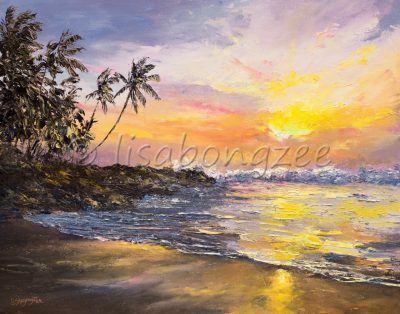 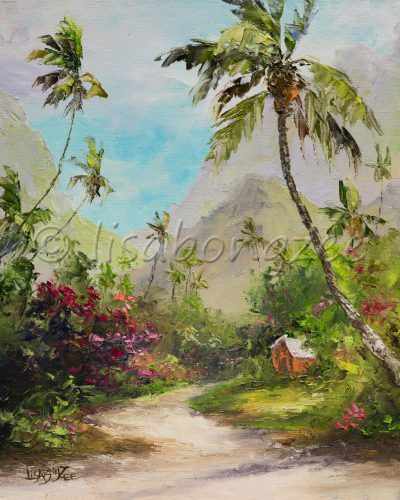 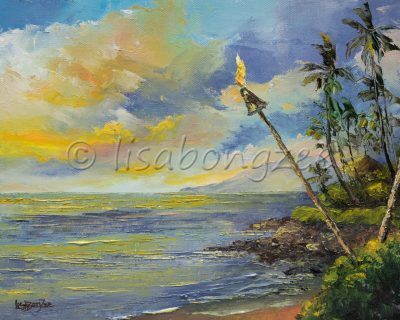 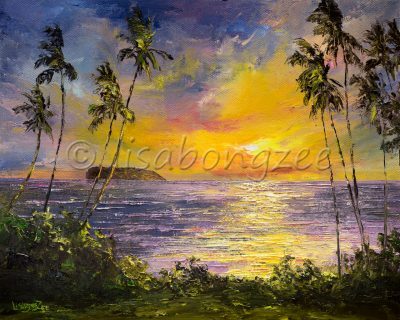 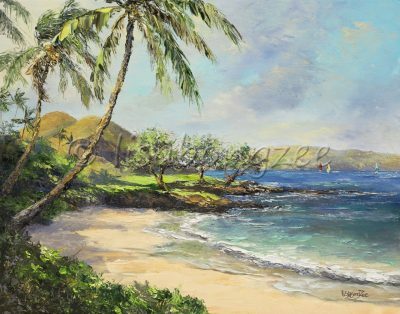 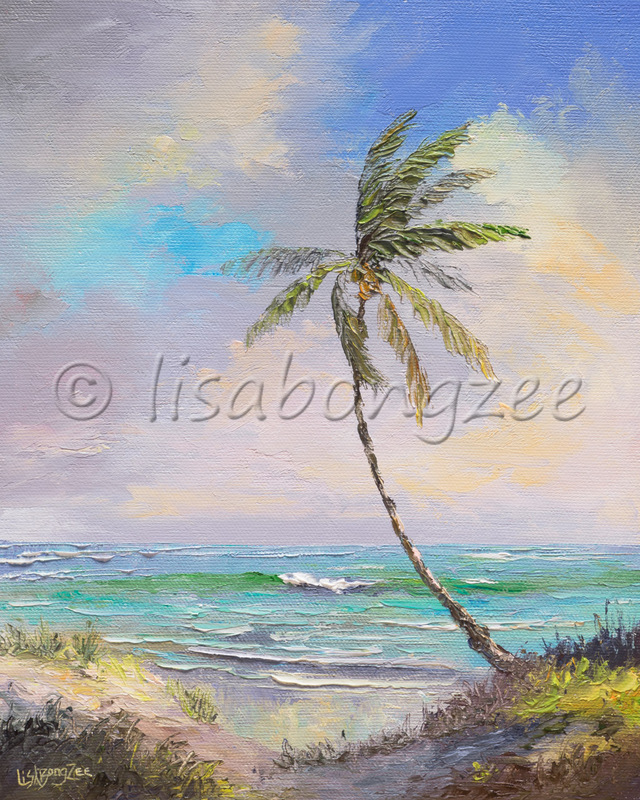 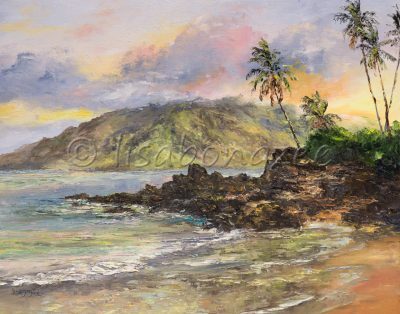 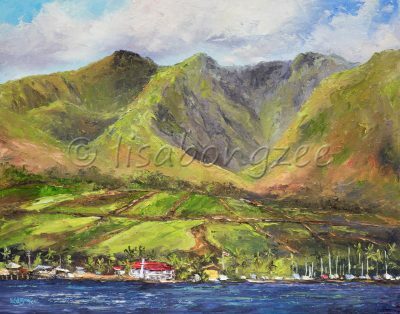 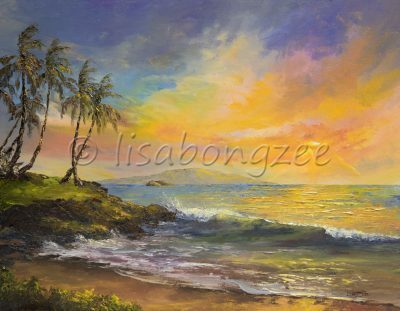 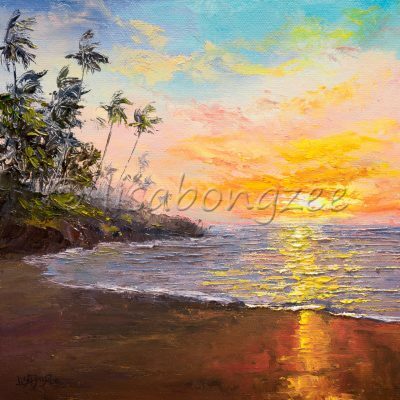 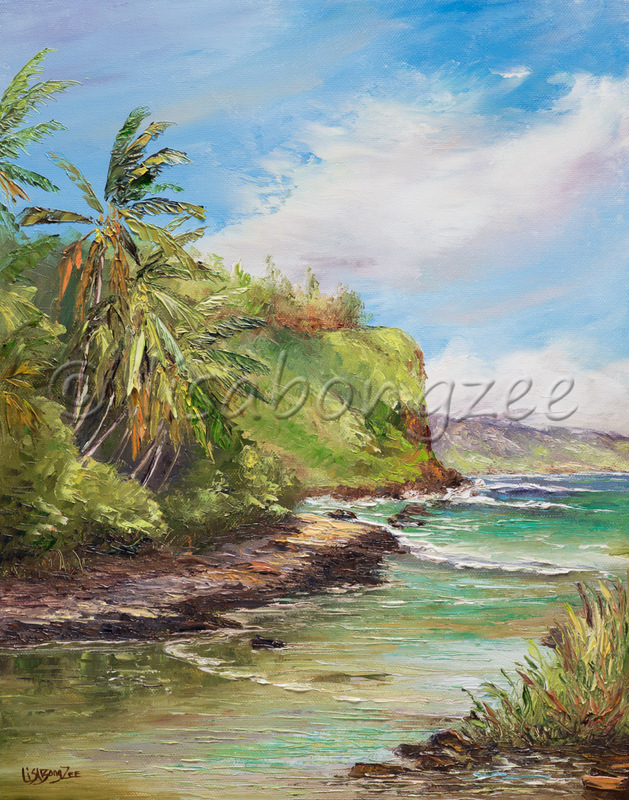 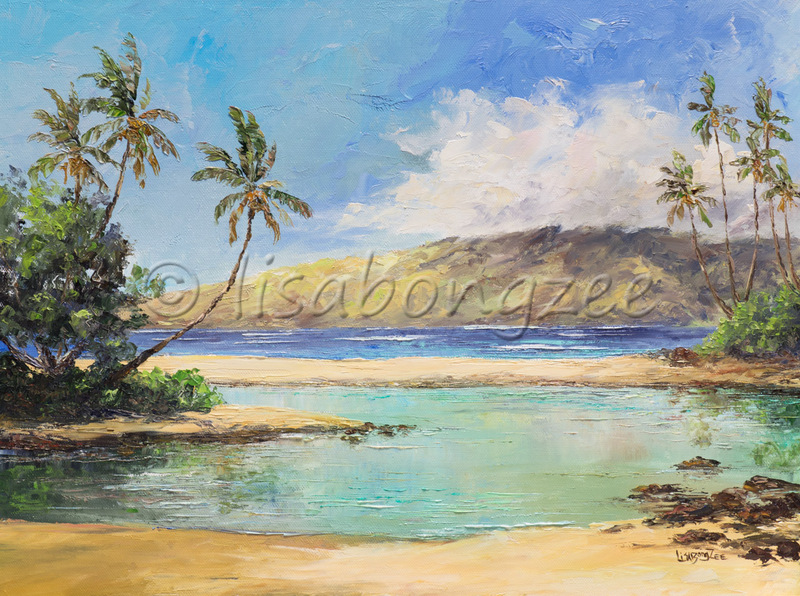 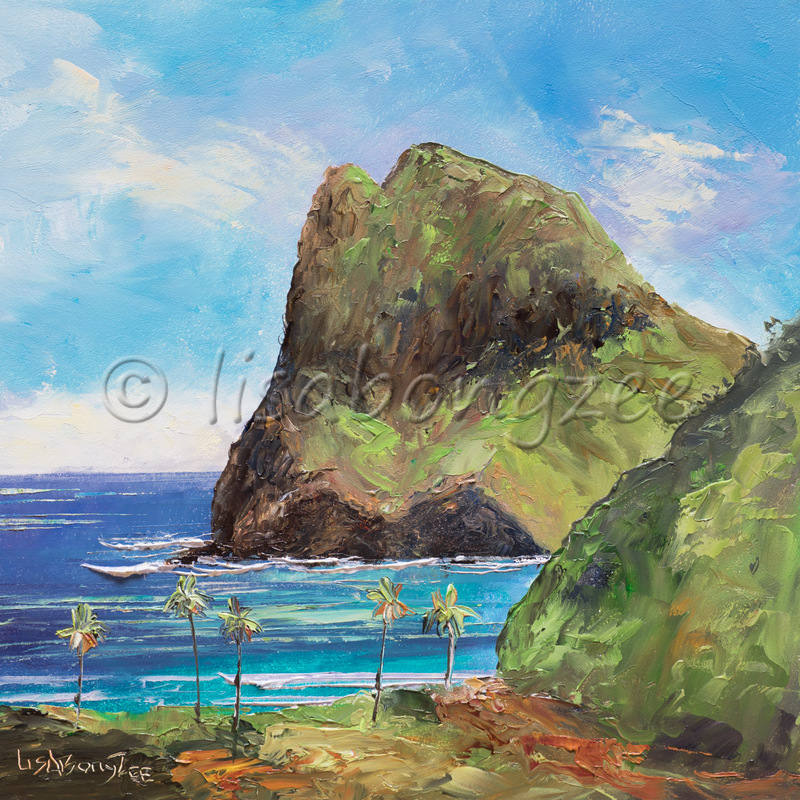 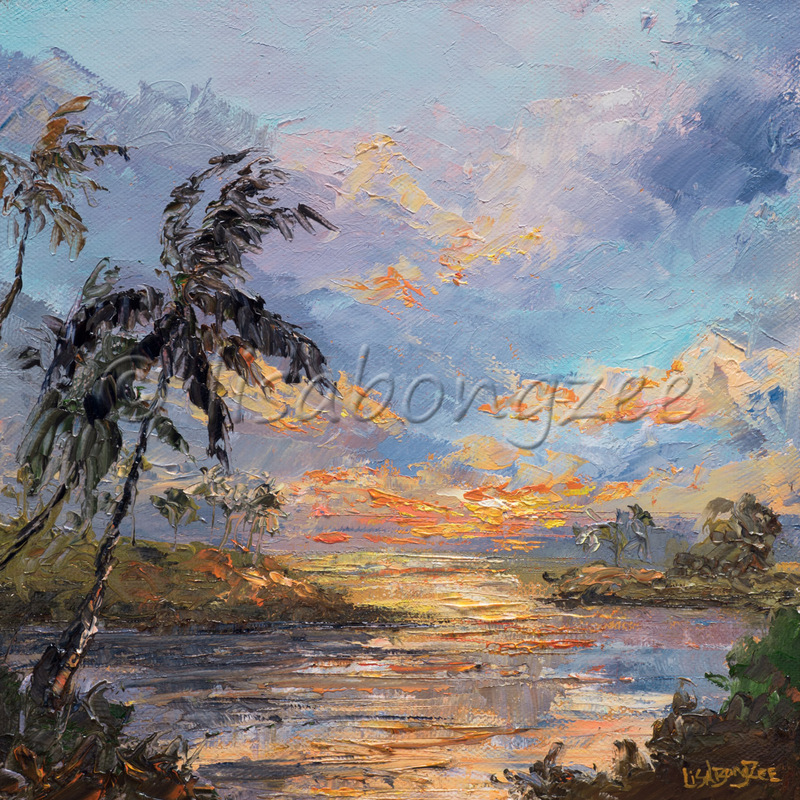 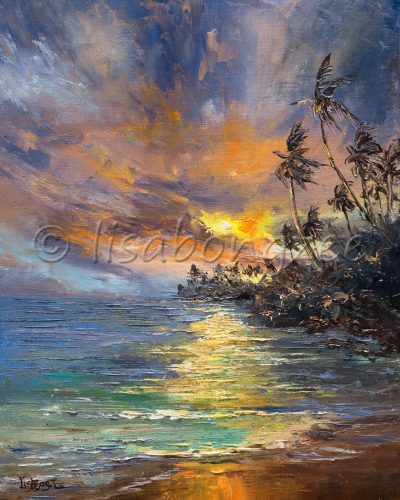 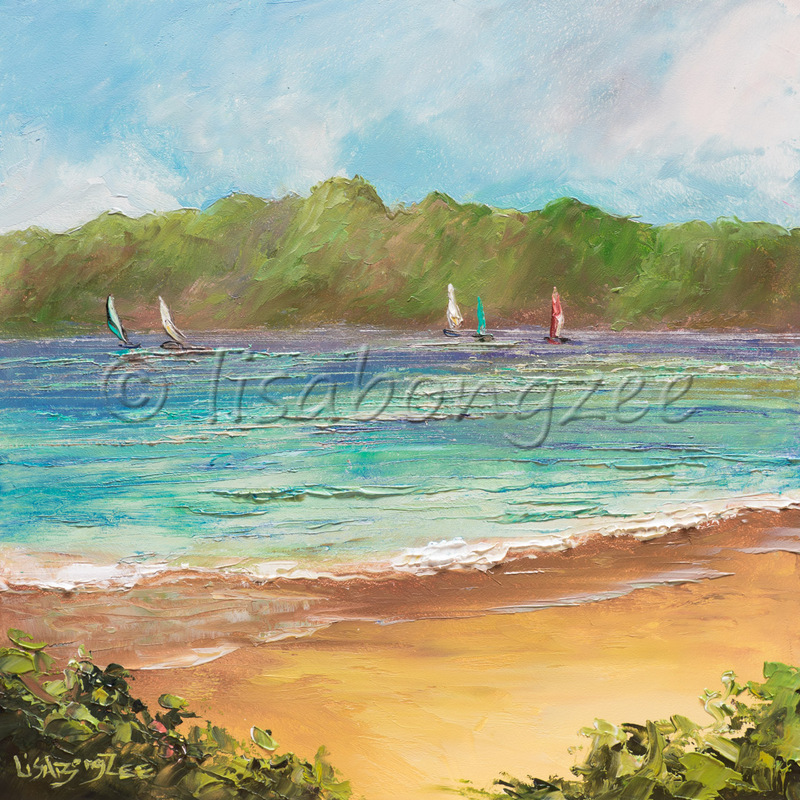 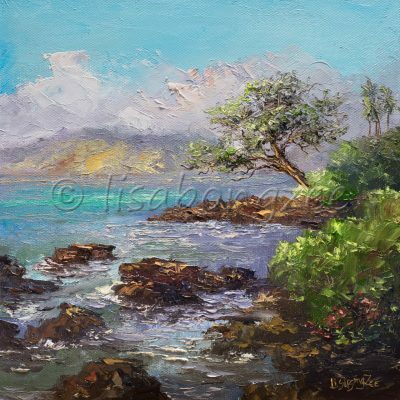 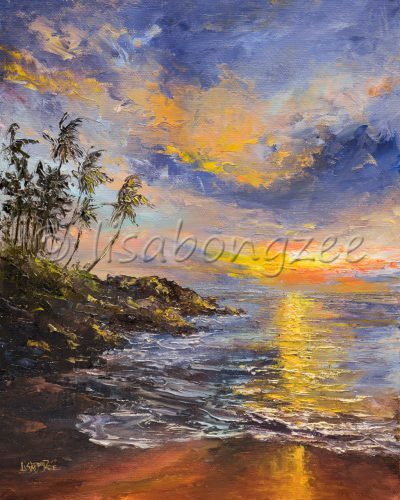 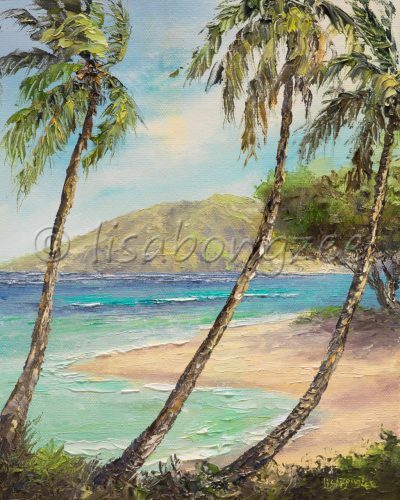 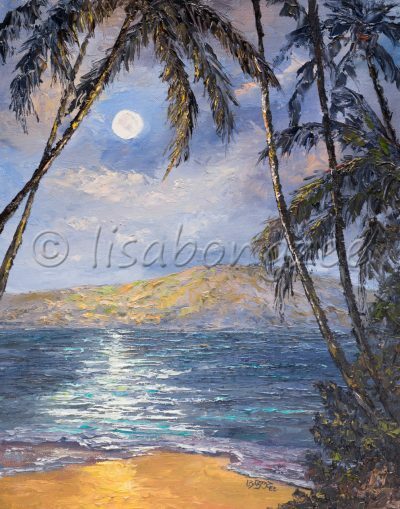 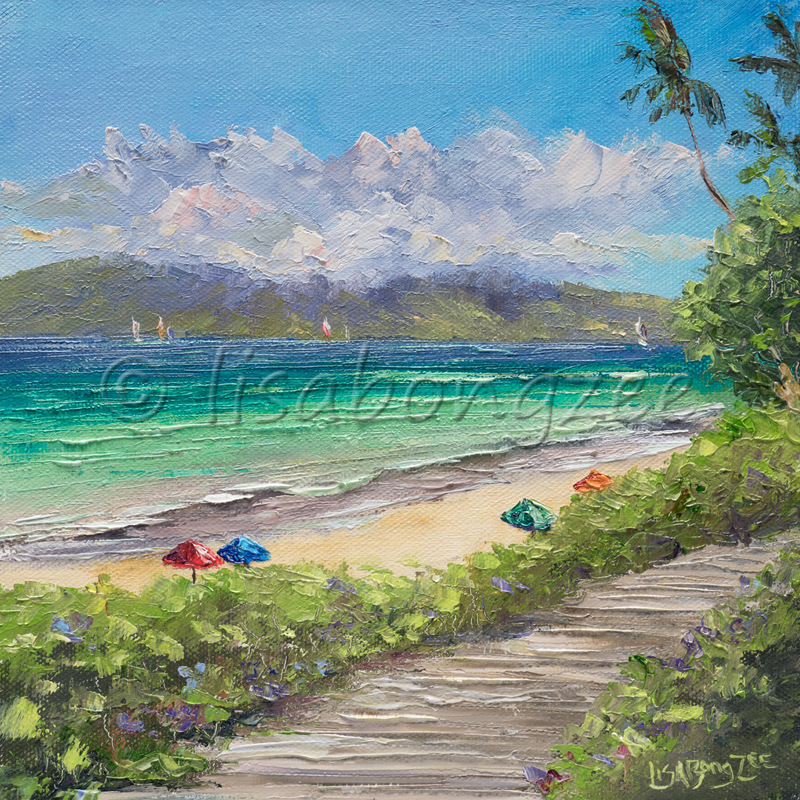 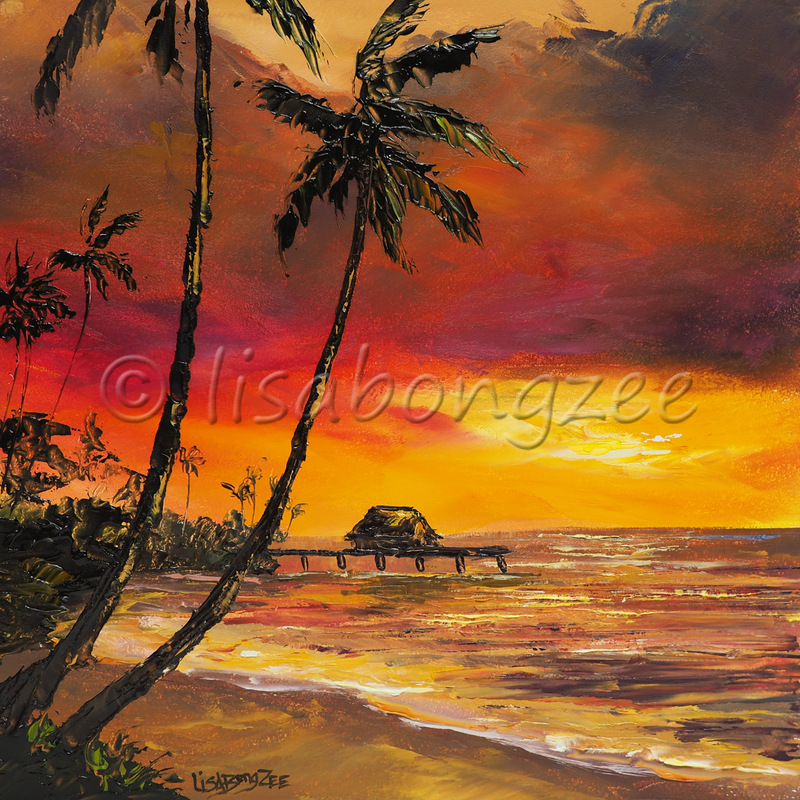 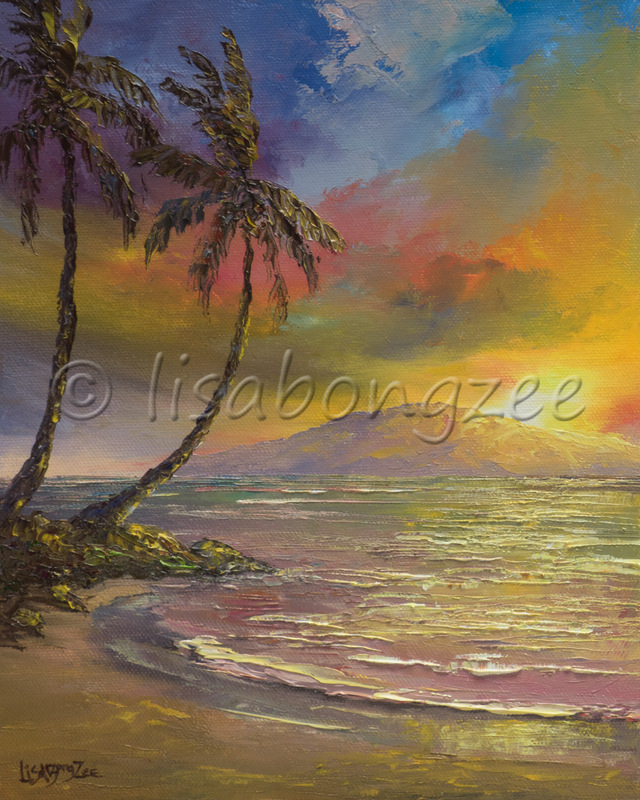 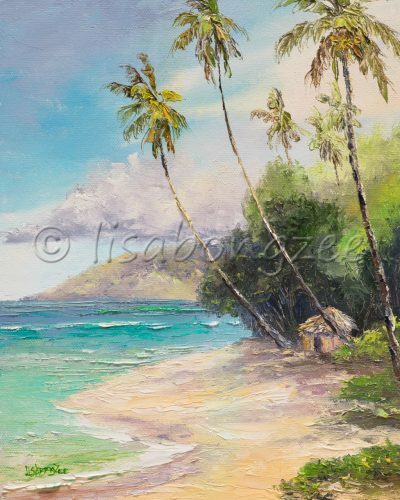 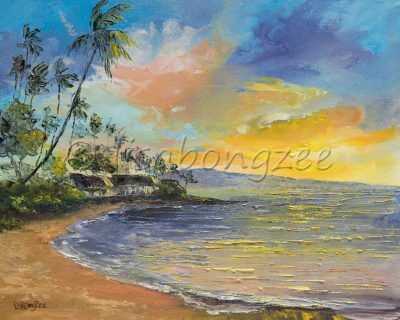 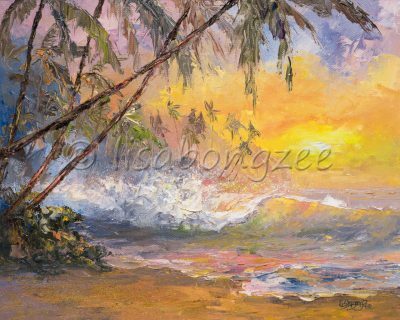 Lisabongzee loves to paint tropical island paradise scenes. 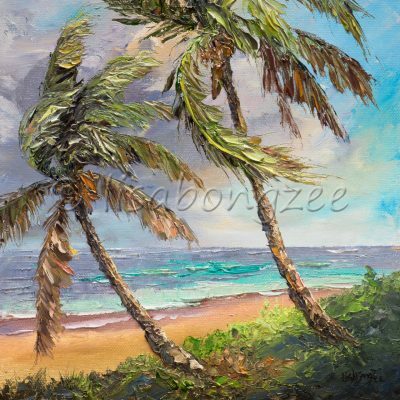 Her paintings are created using a single palette knife. 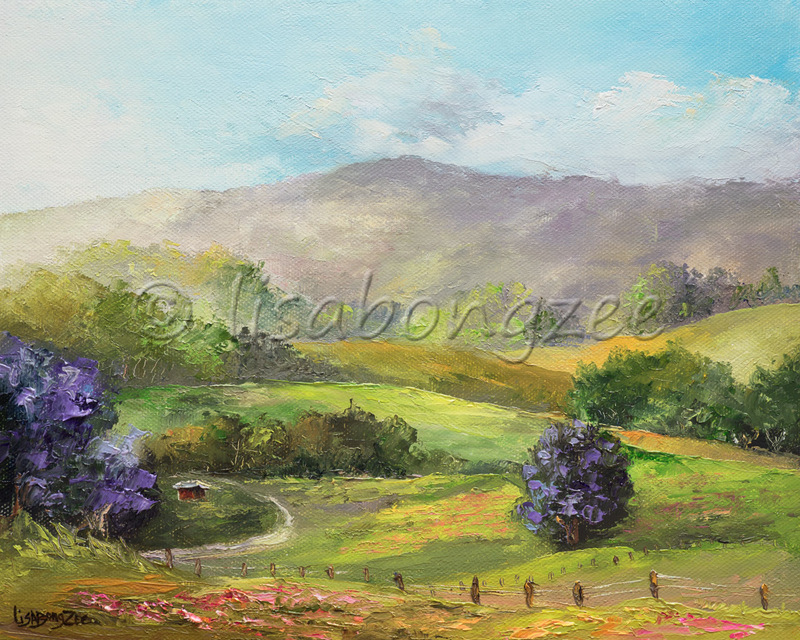 She particularly enjoys painting en plein air (outdoors, on location). 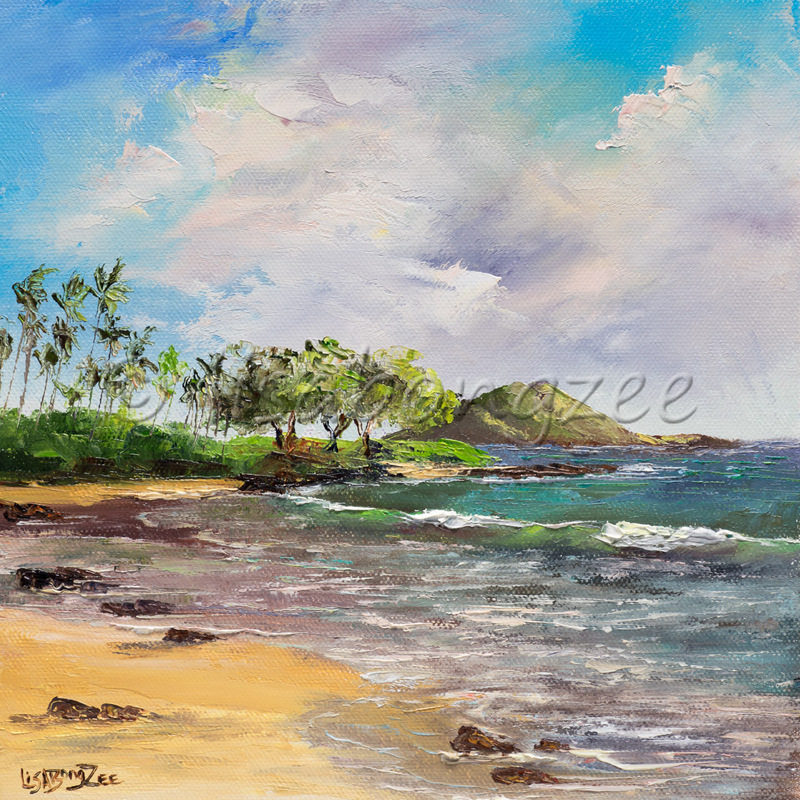 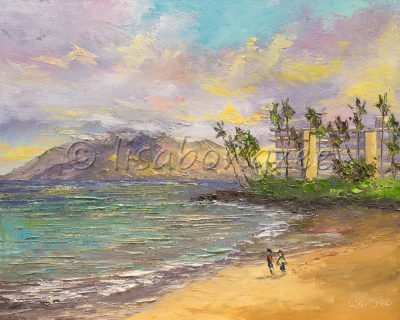 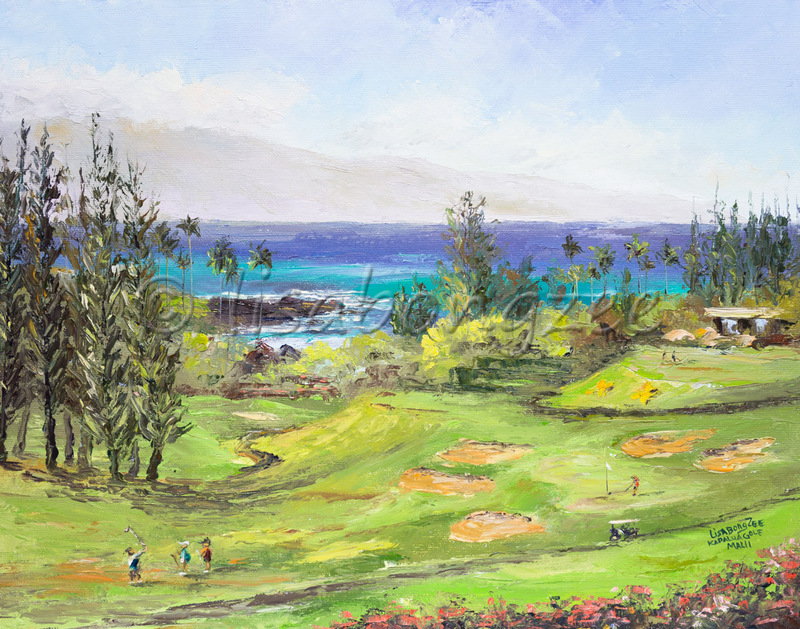 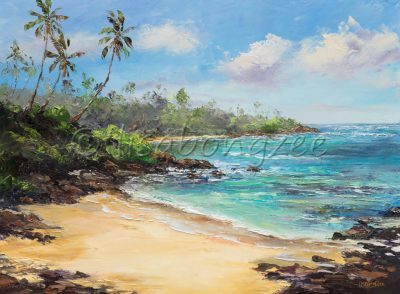 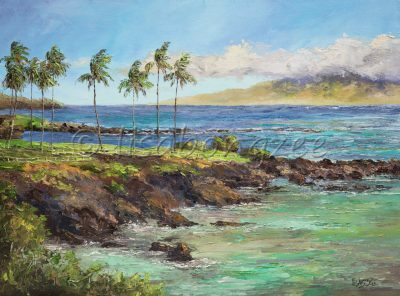 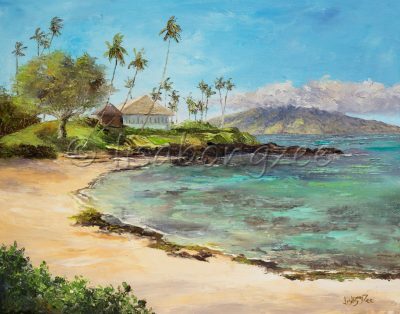 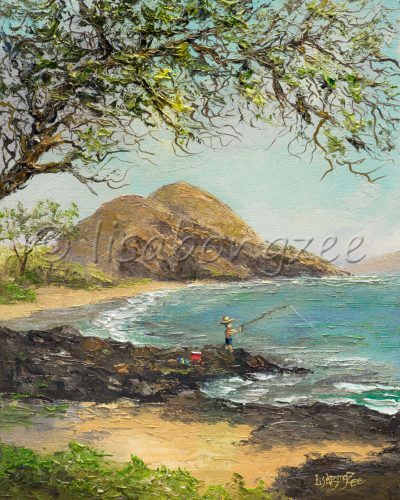 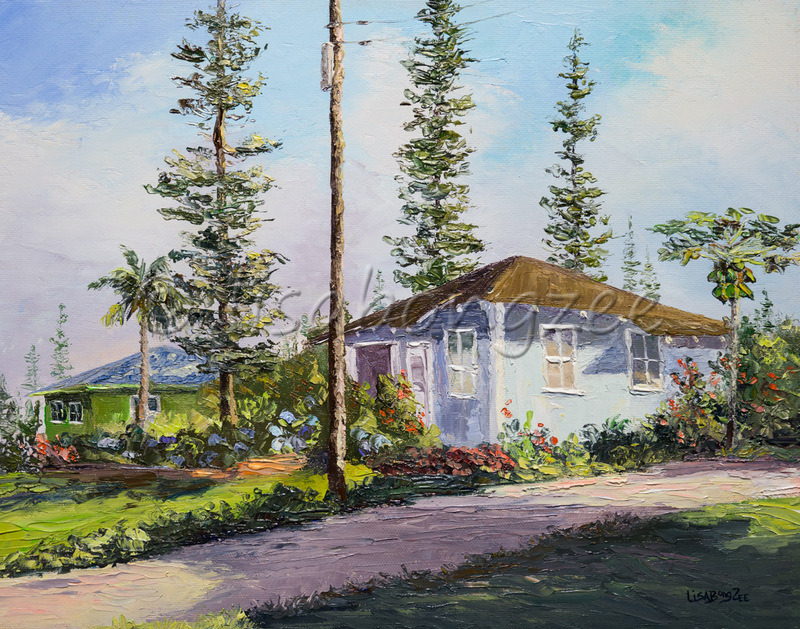 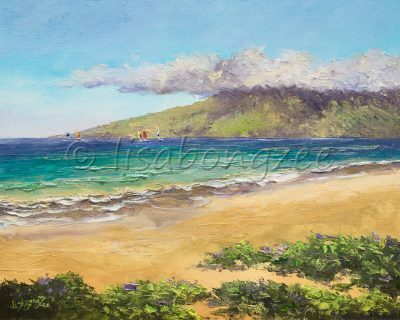 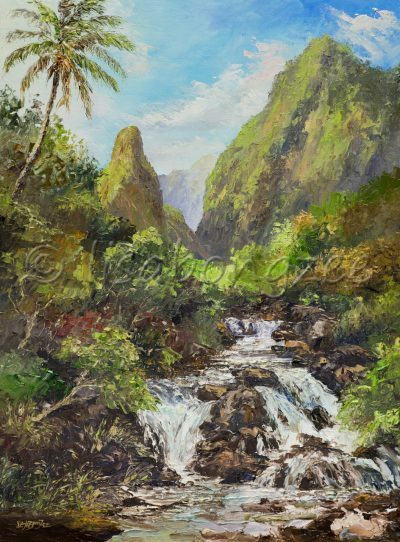 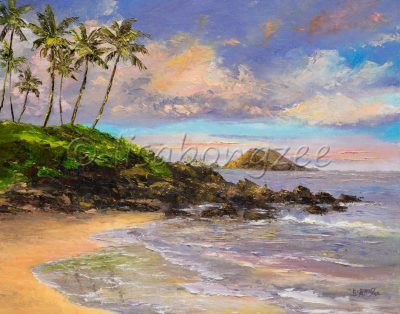 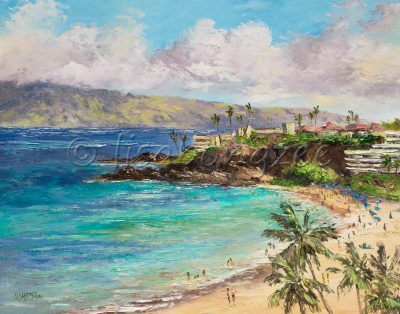 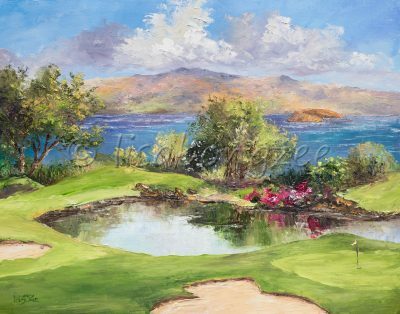 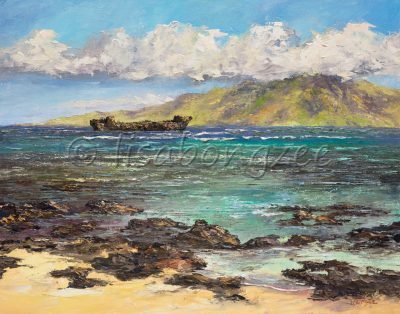 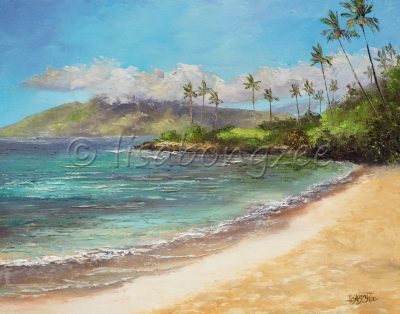 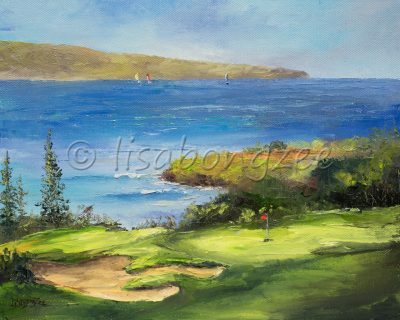 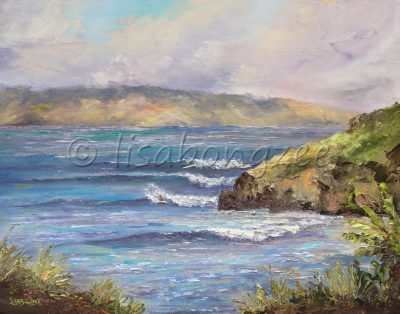 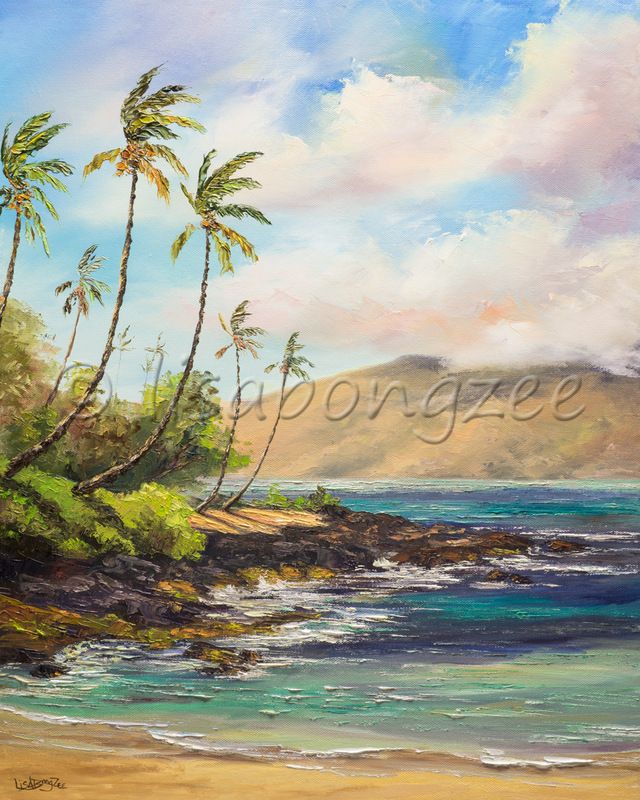 Being out in the beautiful Hawaiian sunshine, breathing in that sweet “beach air”, there is no better way to spend a painting day! 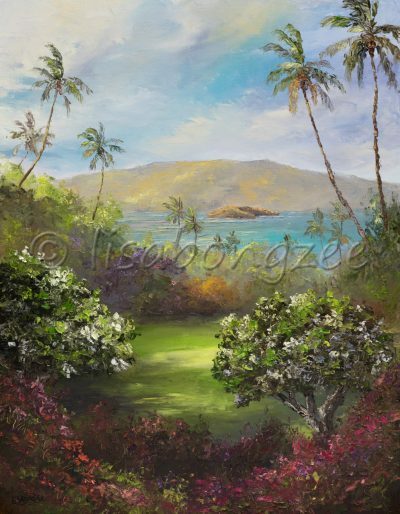 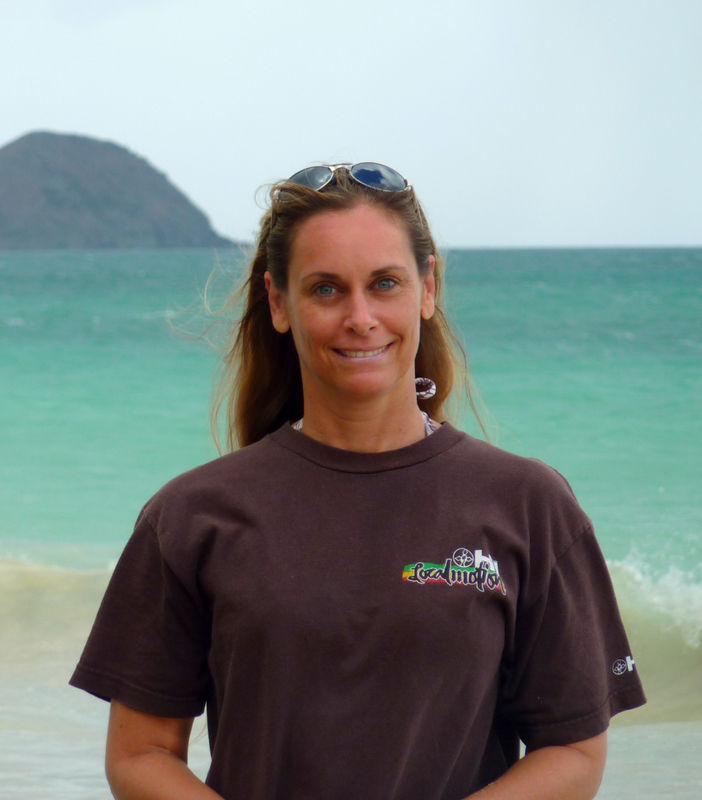 Having lived in Hawaii most of her life, she has been able to experience the magic of these beautiful Islands. 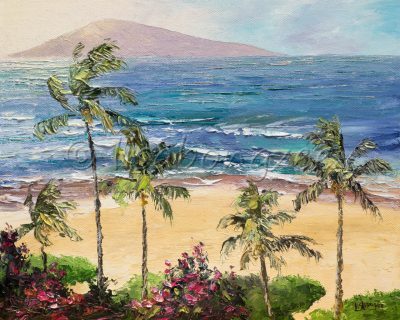 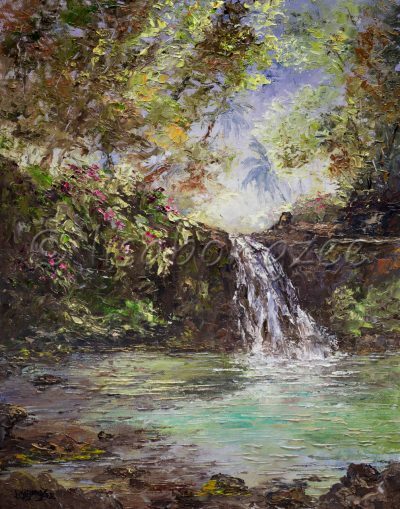 Through her paintings, she hopes to capture the peaceful, serene paradise that many of us dream about. 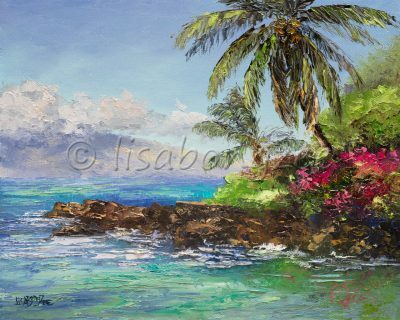 When she’s not painting, she enjoys surfing, snowboarding, rollerblading, traveling, playin’ da uke, and working outdoors in her tropical garden. 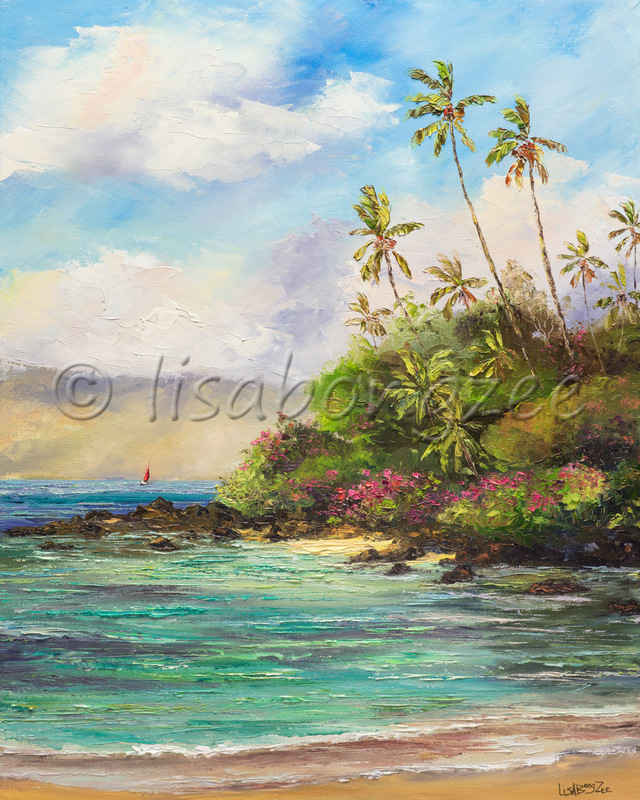 But most of all, just having fun in her Island Dream Life!